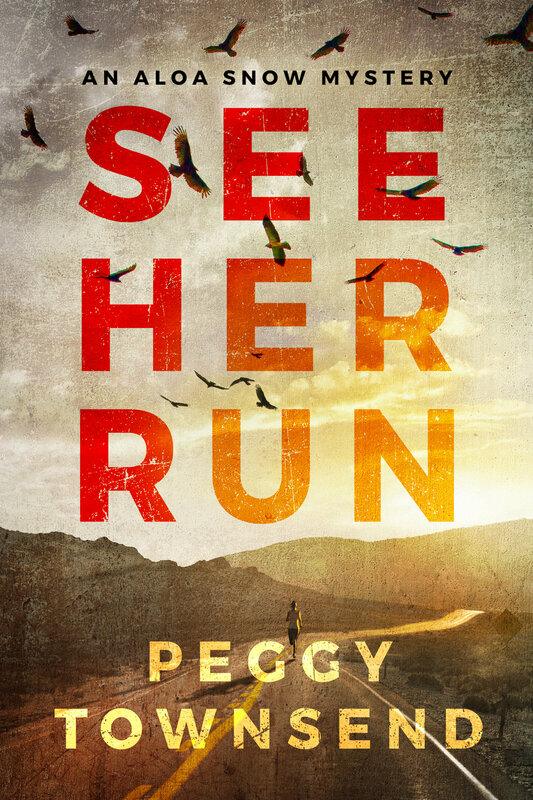 The body of a young adventure runner is found in the Nevada desert and cops rule the death a suicide. The victim’s boyfriend had just died and injuries were threatening her running career. But things are not as they seem and ex-newspaper reporter Aloa Snow is called on to look into the young woman’s death. Snow, let go from her job at the L.A. Times for a mistake in judgment, knows this case won’t make up for the sins of her past but hopes it might be a small payment against her karmic debt. What she discovers takes her into a world of mystery and corporate intrigue and could leave her running for her own life. Peggy Townsend is longtime newspaper reporter who has won multiple state and national awards for her work. She has chased a serial killer through a graveyard at midnight, panhandled with street kids, and sat on a mountaintop with woman who counted her riches in each morning's sunrise. She has rafted rivers, come face-to-face with a grizzly bear and, twice, lived in her van for seven weeks while traveling across the country. She divides her time between the Central Coast of California and the Sierra Nevada Mountains.